In Japan, there is a culture of cute known as “kawaii” (critical note: the “i” is pronounced like “Hawaii” not “Kauai”–which means the opposite of cute– dreadful. Trust me once you make this mistake once your Japanese friends will never let you live it down). Symbols of kawaii are absolutely everywhere in Japan. While you would expect kawaii in things like Japanese children’s toys, kawaii also winds its way well into the adult world. You’ll find adorable little cartoons adorning the most unlikely places– police stations, airport terminals, even road barriers. At first, I’ll admit I didn’t “get” the whole kawaii thing– why were grown adults so enamored of grinning cartoon characters with big round heads? But it didn’t take long for the Japanese culture of kawaii to grow on me, and now I am officially cute-obsessed. As we toured the Kanto region of Japan, it became common for us to nudge each other and point, “oh kawaii” whenever we spotted the latest bit of cuteness. 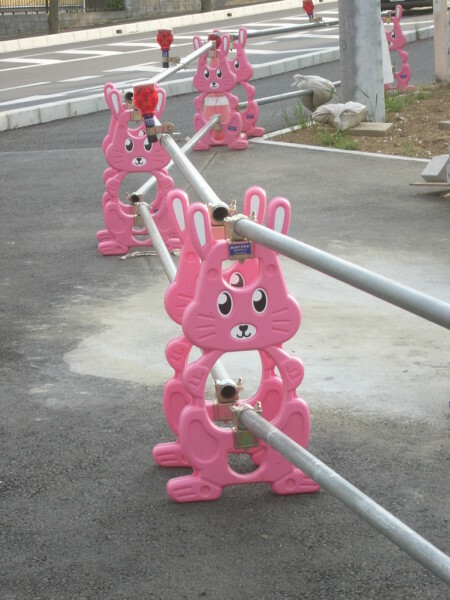 Cute kawaii road barriers at construction sites are certainly more cheerful than Western versions. 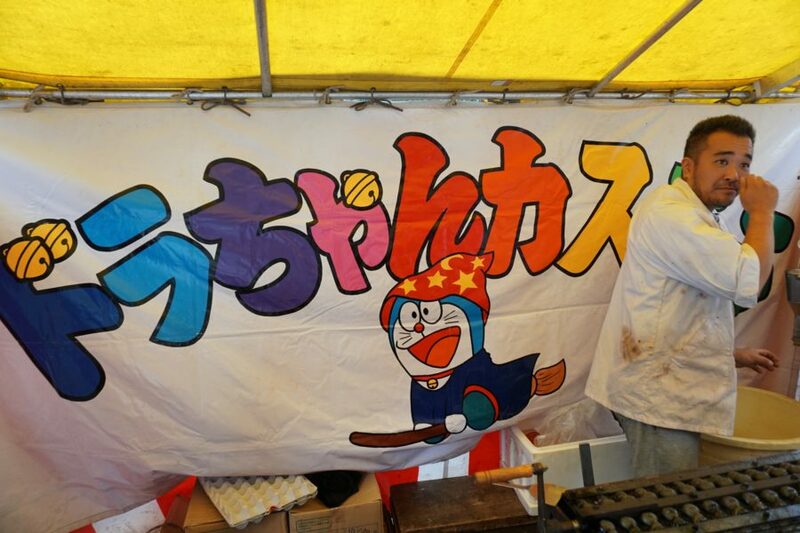 A Japanese food stall vendor in Kawasaki uses kawaii to help sell his products (Kawasaki, Japan). 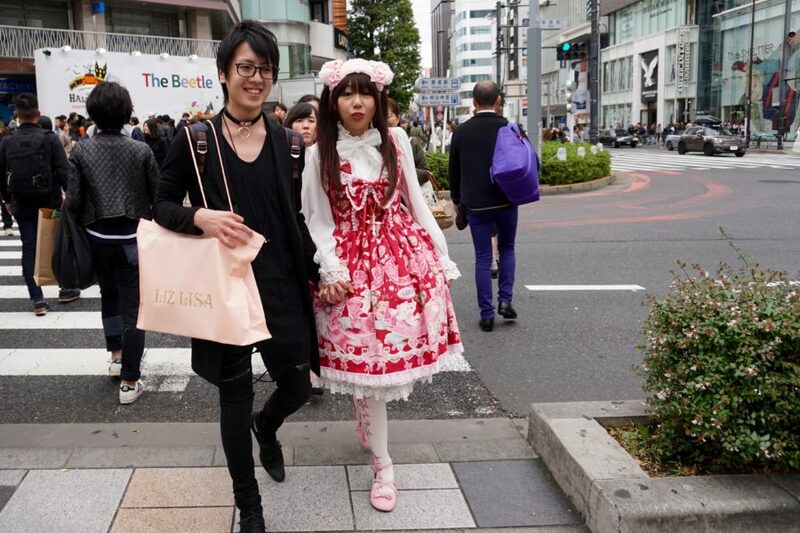 Dressing up in costumes “cosplay” is also part of the kawaii culture (Tokyo, Japan). 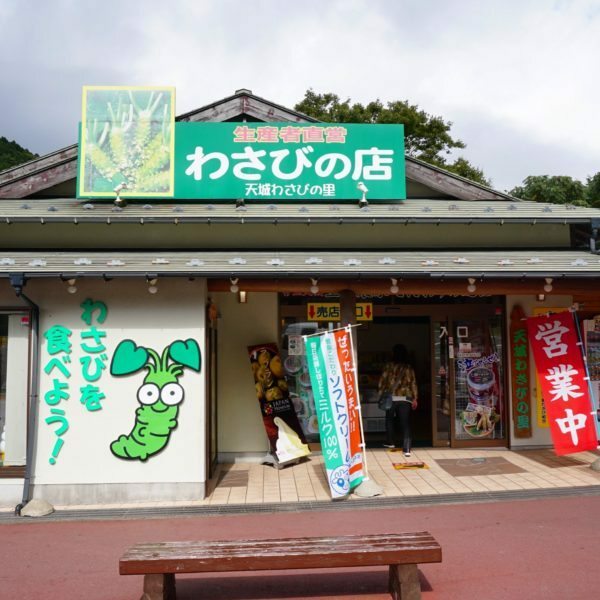 Why wouldn’t you use a giant cartoon wasabi sign to sell wasabi flavored ice cream? Sometimes I couldn’t tell if something was supposed to be kawaii or slightly creepy– or maybe a combination of the two. After my overexposure to all things cute in Japan, it only made sense to bring home some kawaii souvenirs. I found all these kawaii souvenirs on my latest trip in the Kanto region of Japan, but you can find kawaii items pretty much anywhere in Japan. 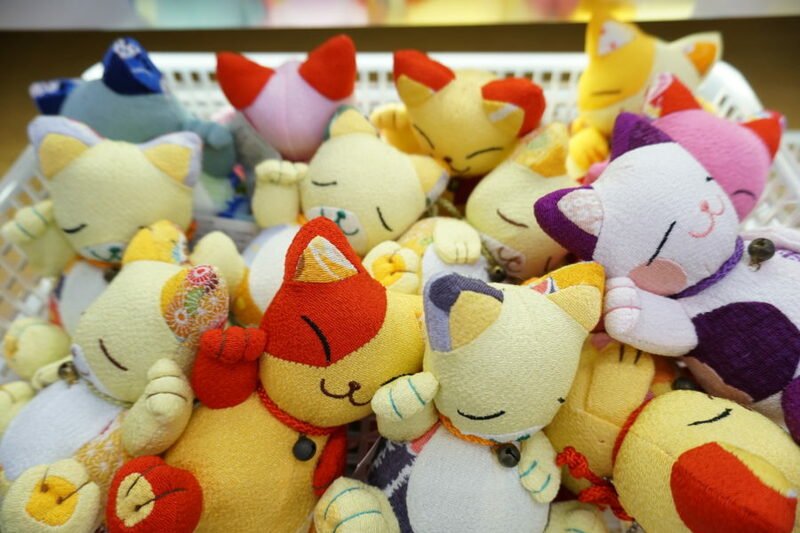 One of the best places to get plush kawaii souvenirs is at Kitty Land in Tokyo. 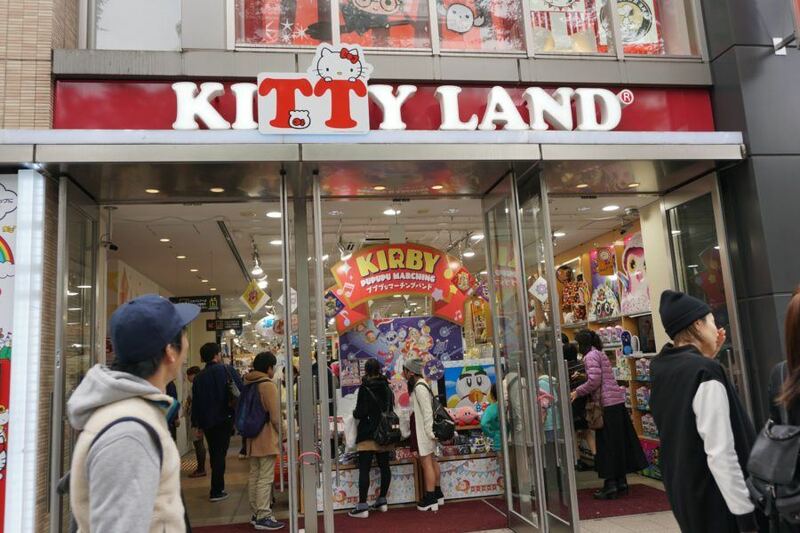 Although the name suggests it’s a temple to all things Hello Kitty, Kitty Land has a wide selection of kawaii. Kitty Land in Tokyo is exactly what it sounds like– a store dedicated to all things cute and kawaii. Sometimes I had to look carefully at the plush toys to figure out what they were. And sometimes I still had no idea. (Kitty Land, Tokyo, Japan). I liked the ears on this guy. (Kitty Land, Tokyo, Japan). A pile of blue kawaii plushies. (Kitty Land, Tokyo, Japan). Yup, definitely kawaii. (Kitty Land, Tokyo, Japan). The Harajuku area of Tokyo (check out my fun post here) is chock full of kawaii souvenirs. Because who wouldn’t want a plush kawaii wasabi. Cats are very popular sources of kawaii culture. 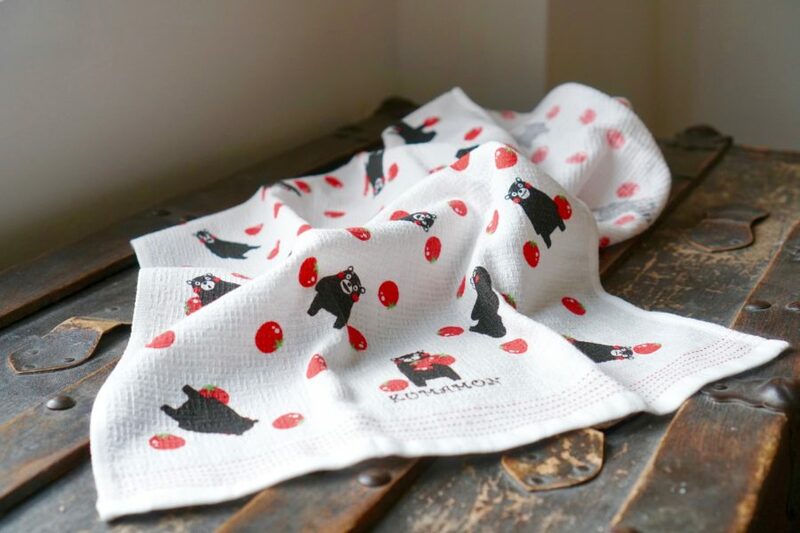 I could not resist these kawaii bears on a towel. 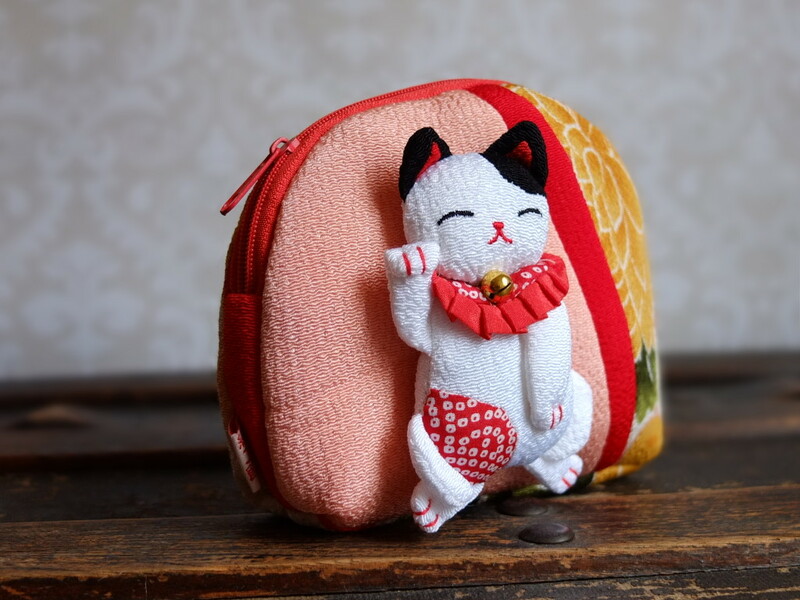 Kawaii lucky cat on silk pouch– perfect to carry makeup and hairbands. Do you also love kawaii in Japan? Tell us about your favorites! Disclosure: my visit to Japan was hosted by JTB, however, all shopping picks are my own. Have you seen the John Olover show’s segment on Japanese mascots? If not, YouTube it! I am pretty sure the bear on your towel is a mascot. Diana no I haven’t but will google it!! haha I am obsesssed with that bear a friend made me a t-shirt from a photo I took! !